On October 10, 1979, the Board of Trustees of the San Mateo County Community College District accepted a generous gift from Mr. and Mrs. Ralph Lazarus of Cincinnati for construction of a Child Development Center. The gift was in memory of their daughter, Mary Meta Lazarus. 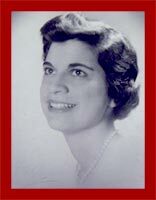 Prior to her death in February, 1978, Ms. Lazarus had been active in the Women's Re-Entry Program at College of San Mateo. As a result of her participation in the program, she developed great empathy for women who had difficulty attending college because of the lack of quality, affordable child care services. Subsequent to acceptance of the gift, the Board of Trustees retained the architectural firm of Porter, Jensen, Hansen and Manzagol of San Jose to develop working drawings and bid specifications for the building. On May 28, 1980, the Board approved the plans and ground breaking took place in August, 1980. The Center opened its doors to children and families in September, 1981. The Mary Meta Lazarus Child Development Center serves as a tribute to the Lazarus family who, more than 25 years ago, had the vision and the tremendous foresight to recognize the positive impact that quality early care and education programs have on preschool children and their families.